Any efforts to ensure the capability of your organization to prevent, prepare for, respond to, or recover from a major incident must begin with an understanding of the threat environment. 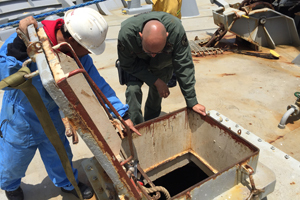 The Center for Threat Management conducts programs in Vulnerability Assessment to assist in the process of identifying and evaluating solutions to threats of concern and prioritization of the resources necessary to implement them. 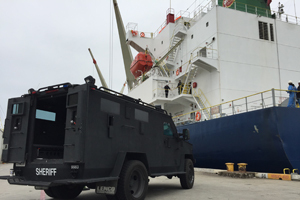 After establishing a team of internal and external stakeholders, CTM employs a systematic methodology to characterize the threat environment, understand the resulting vulnerabilities, and build an effective strategy to manage gaps in capabilities. Consistent with the U.S. Department of Homeland Security’s Comprehensive Preparedness Guide for Threat and Hazard Identification and Risk Assessment (THIRA) and threat management best practices, this methodology emphasizes training, education, communications, scenario-based exercises, and process improvement as priority tools in threat management. 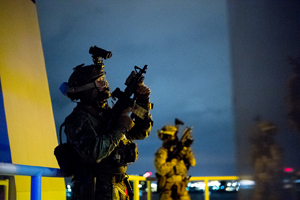 Building on an established legacy of operational research conducted in the asymmetric threat environment, this methodology also ensures a balance between threat management and routine operations, emphasizes partnerships to leverage existing capabilities, and considers oft-overlooked secondary effects due to proximity of potential targets and organizational interdependencies. 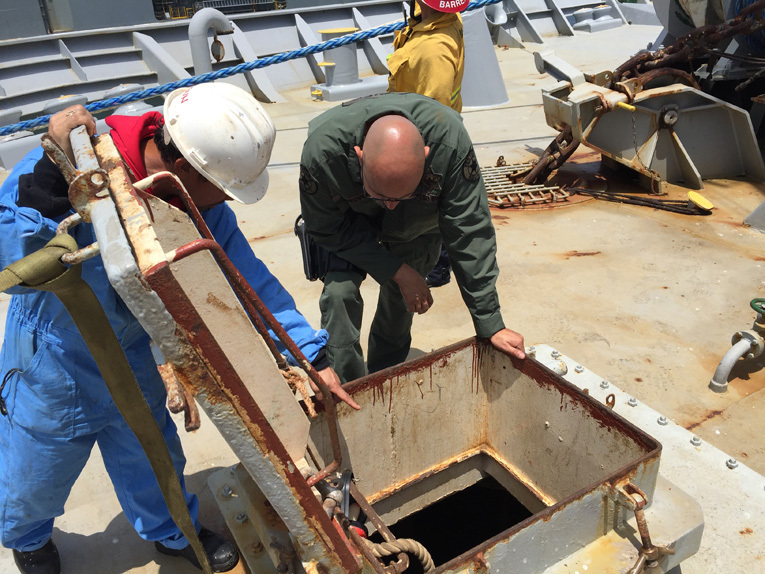 Personnel from Ventura County Sheriff’s Office, Long Beach Police Department, Port Hueneme Police Department, and Ventura County Fire Department discuss critical areas aboard the M/V Star Care with members of the crew during the Coastal Trident 2016 Regional Port and Maritime Security Program. 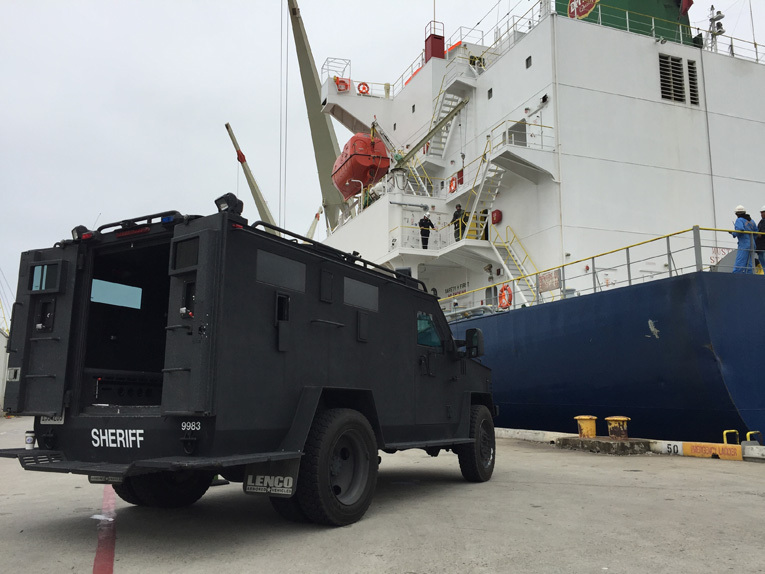 An armored vehicle operated by Ventura County Sheriff’s Office SWAT supports the response to a simulated active shooter aboard the M/V Star Care during the Coastal Trident 2016 Regional Port and Maritime Security Program. 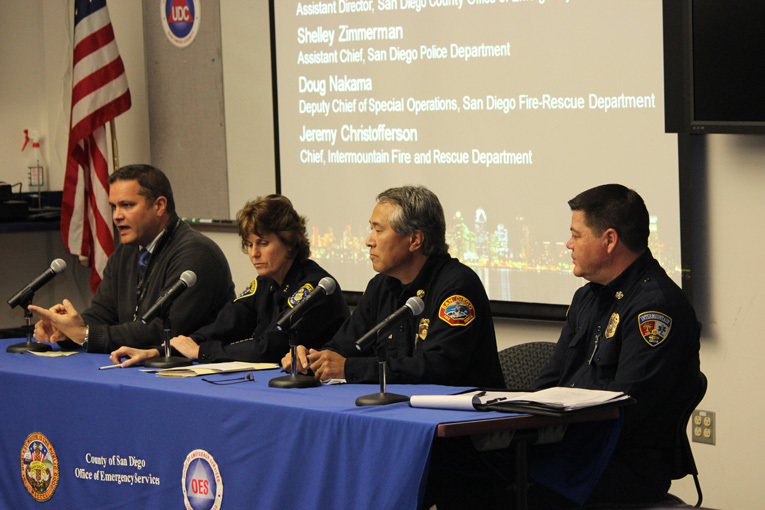 A panel comprised of subject matter experts in local government and law enforcement information functions discusses the role of public information following a simulated regional power failure scenario during the 2013 Cyber Security Threat Awareness, Response, and Recovery Program.